The Spirit’s main focus would be to glorify Christ (John 16:13-14), rather than to draw attention to Himself. Indeed, in the New Testament we never see the Spirit acting in a way that is not inseparably connected with the Person and ministry of Jesus Christ. First, personal fellowship with Jesus…becomes a reality of experience, even though Jesus is now not here on earth in bodily form, but is enthroned in heaven’s glory. Second, personal transformation of character into Jesus’ likeness starts to take place as, looking to Jesus, their model, for strength, believers worship and adore him and learn to lay out and, indeed, lay down their lives for him and for others. Third, the Spirit-given certainty of being loved, redeemed, and adopted through Christ into the Father’s family, so as to be “heirs of God and fellow heirs with Christ” (Romans 8:17), makes gratitude, delight, hope, and confidence-in a word, assurance-blossom in believers’ hearts. 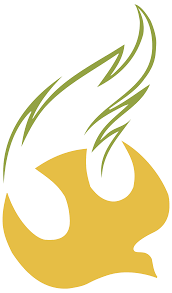 For much more about the Person and work of the Holy Spirit, and His vital role in our worship, and a number of song texts and readings appropriate for Pentecost Sunday, please see Worship Notes 1.9. For other song texts and readings about the Holy Spirit, please see HERE our church’s bulletin for this Sunday’s celebration of Pentecost.